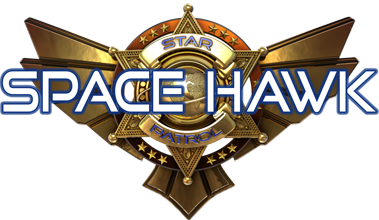 The SPACE HAWK is the most advanced spaceship in the STAR PATROL fleet. 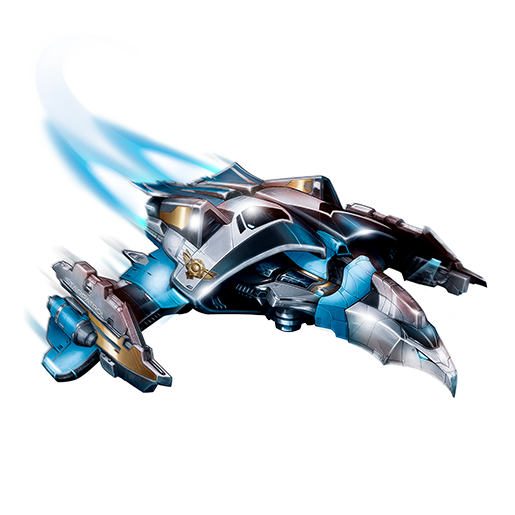 With it’s flight, action and hover modes, SPACE HAWK can handle any dangerous situation and any mission. 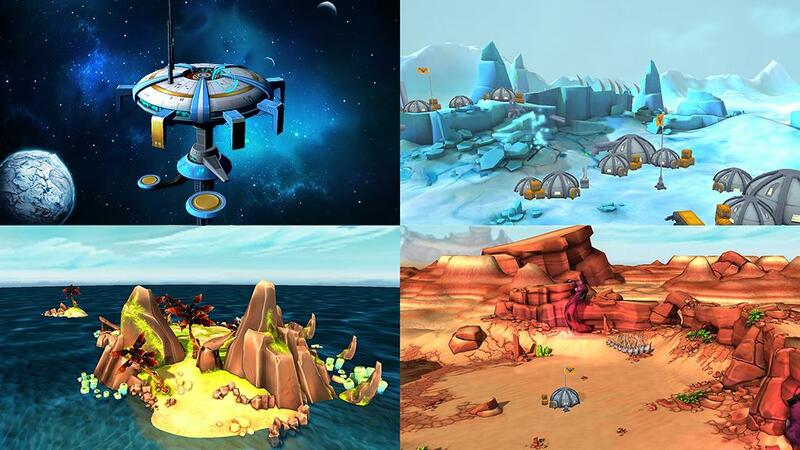 As the captain of the SPACE HAWK, you use the app to control the spaceship with your actual movements and turn your entire surroundings into an fascinating galaxy. 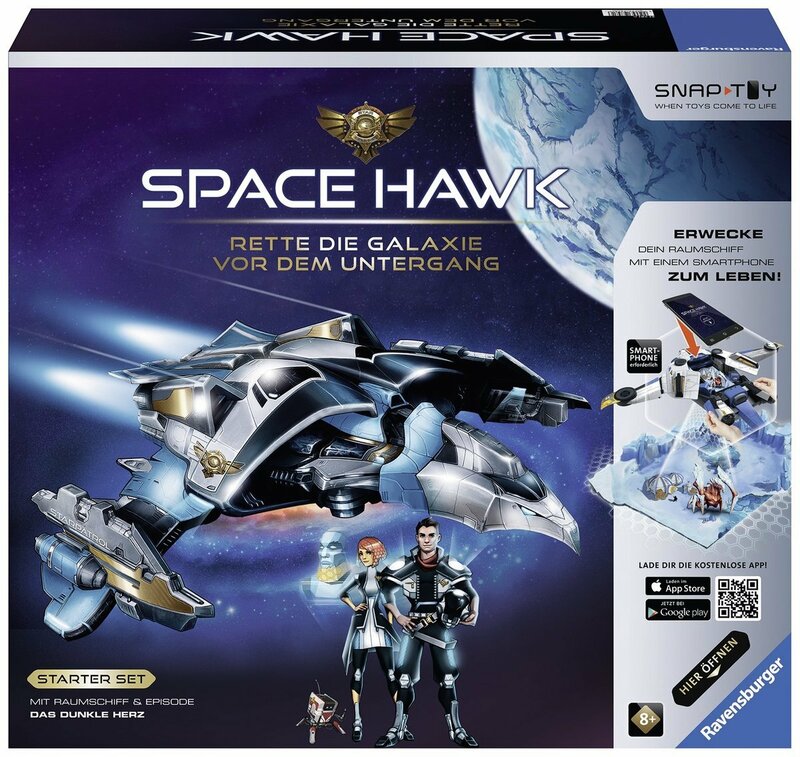 SpaceHawk is the first Snaptoy from Ravensburger and it was created by Deck13. 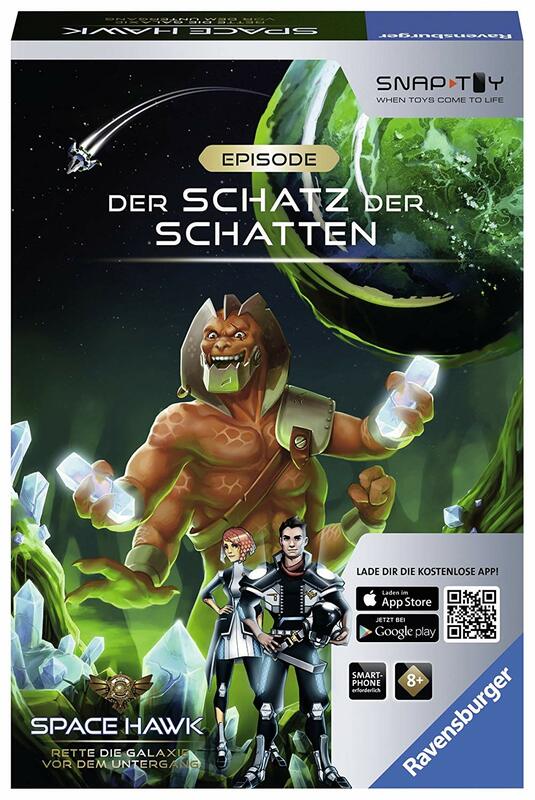 With Snaptoys games get brought to life for real. 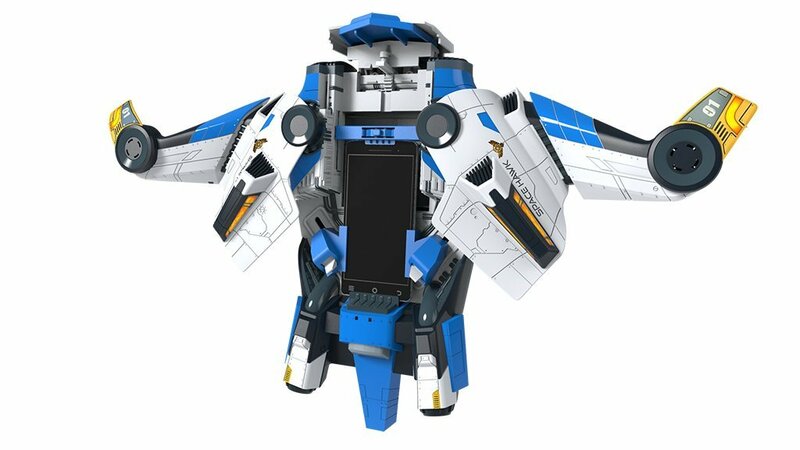 Use your Smartphone or iPods and create a totally new gaming experience: All your surroundings will become your gameworld while you move through them. 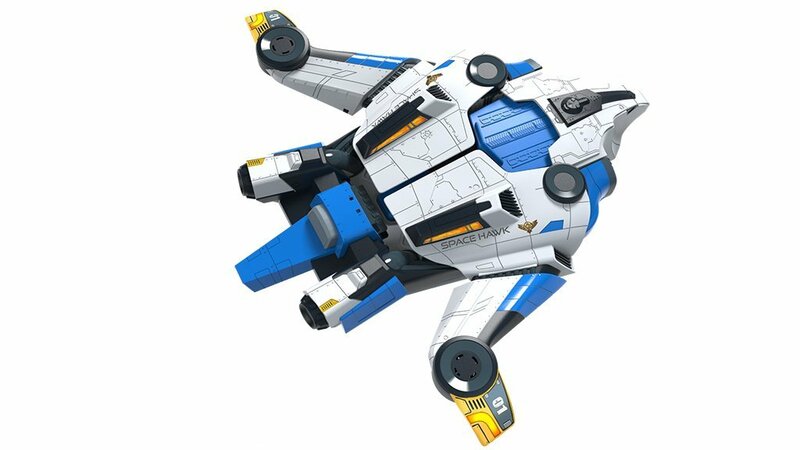 The SpaceHawk is around 43 centimers long and a true beauty for a Spaceshuttle. 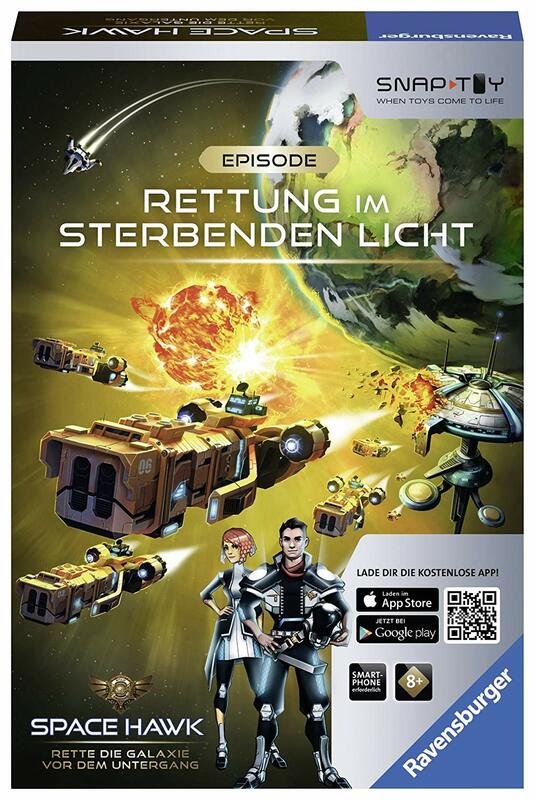 Once you insert your Smartphone and make use of the free App the ship is brought to life and reacts to the motions of the player. This is how the ship is controlled and how you explore planets and space stations. 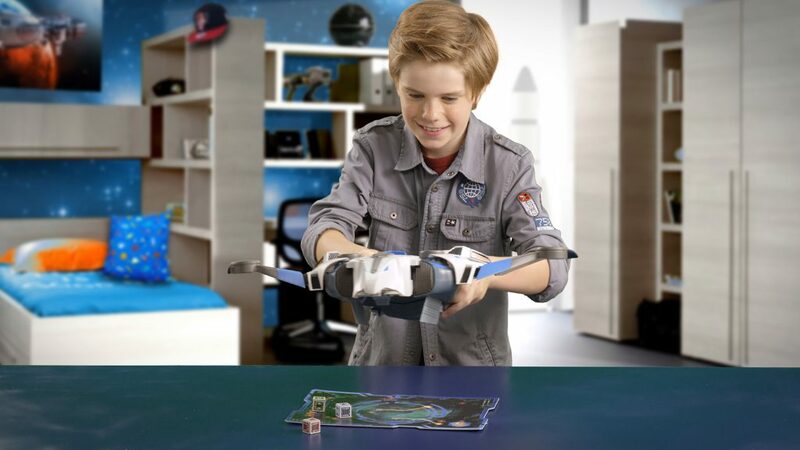 Create the world your way, play the game your way – that’s what the SpaceHawk was designed for. 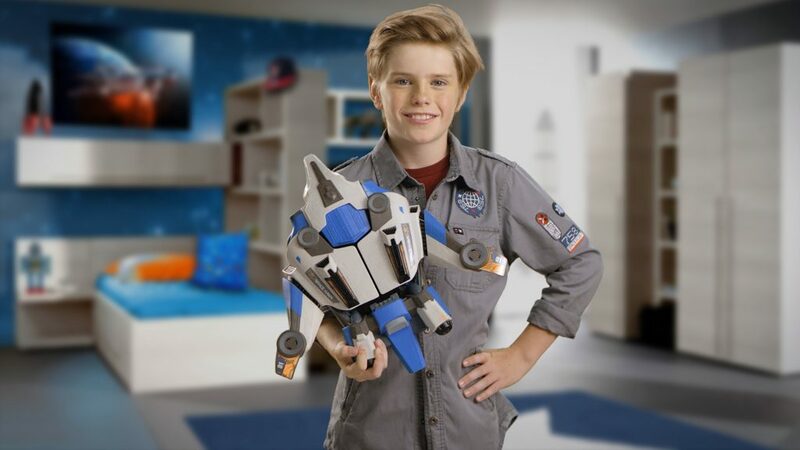 With the included Space Hawk knowledge database children can learn a lot about the space during their playtime. 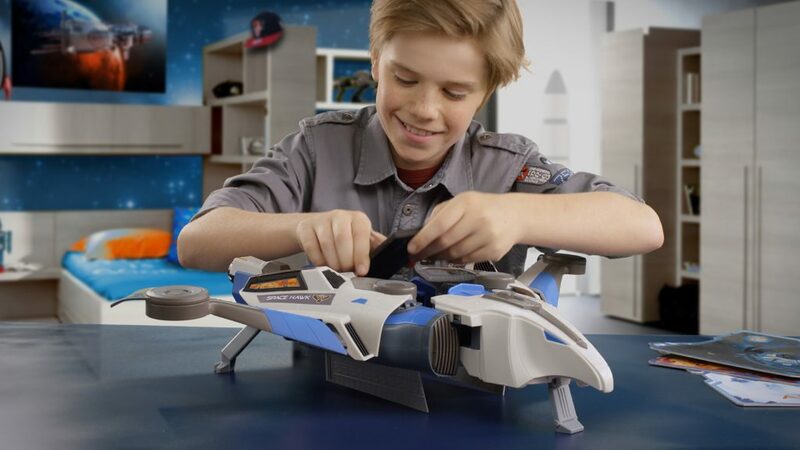 With one simple move the SpaceHawk itself can be prepared for action: In the flightmode the player can travel through space and in the action mode the ship can use its laser or other cool technologies known from SciFy series. 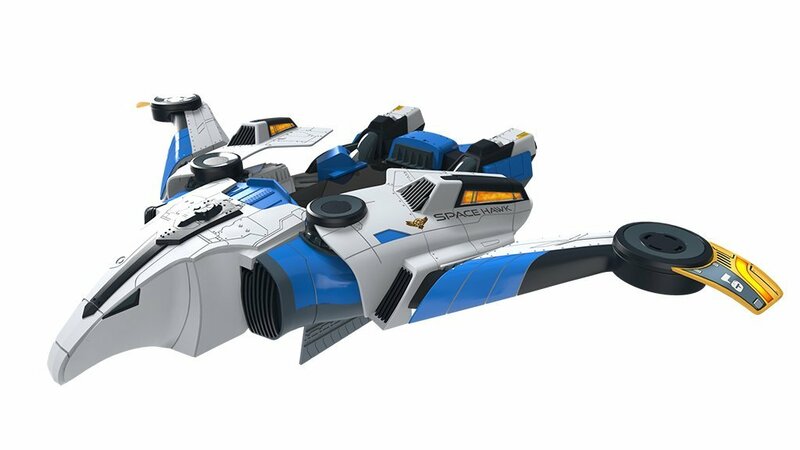 SpaceHawk is more than just a simple toy. It’s pure atmosphere. 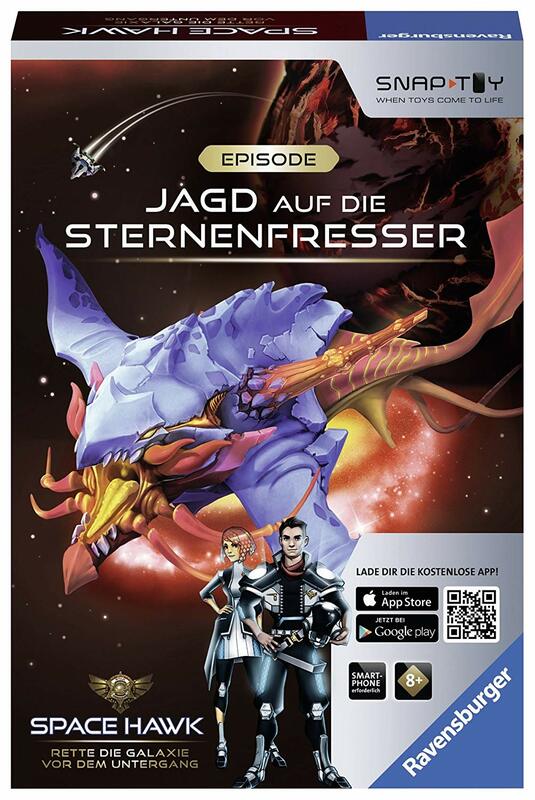 And it teaches children at the very same time – it’s the perfect gift for anyone who is into science fiction. Get the special Lords of the Fallen limited edition now! For next-gen consoles Xbox One, Playstation 4 and for the PC.